This Treat was last posted on June 10, 2016. 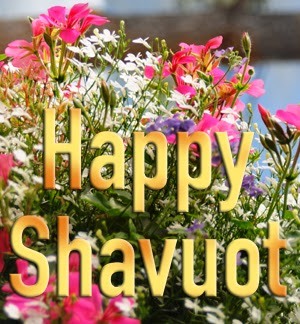 NJOP wishes you and yours a beautiful and meaningful Shavuot. This Treat was last posted on June 6, 2016. This Treat was last posted on June 8, 2016. When you eat produce, take a few moments and think about the incredible process necessary to grow that fruit or vegetable. 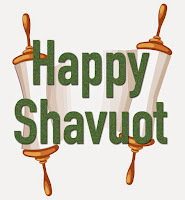 Shavuot, which we begin celebrating Tuesday night (May 30th), is the only holiday in the Torah not listed by the date on which it is to be observed. Rather, the Torah teaches that this festival takes place on the day following the 49th day after the first day of Passover (see Counting of the Omer). The name Shavuot, therefore, reflects the fact that this holiday occurs seven complete weeks (shavuot) after Passover. In mystical terms, the number 7 represents the natural order of things, and so, a complete, natural cycle has occurred. This Treat was last posted on June 7, 2016. Treat was last posted on June 9, 2016. Prepare for Shavuot by trying your hand at preparing some cheesecake. This Treat was last posted on May 20, 2015. Take a few moments to contemplate your relationship with Torah and the experiences of your ancestors. This Treat is reposted annually in honor of Shavuot. This Treat was last posted on May 29, 2014. 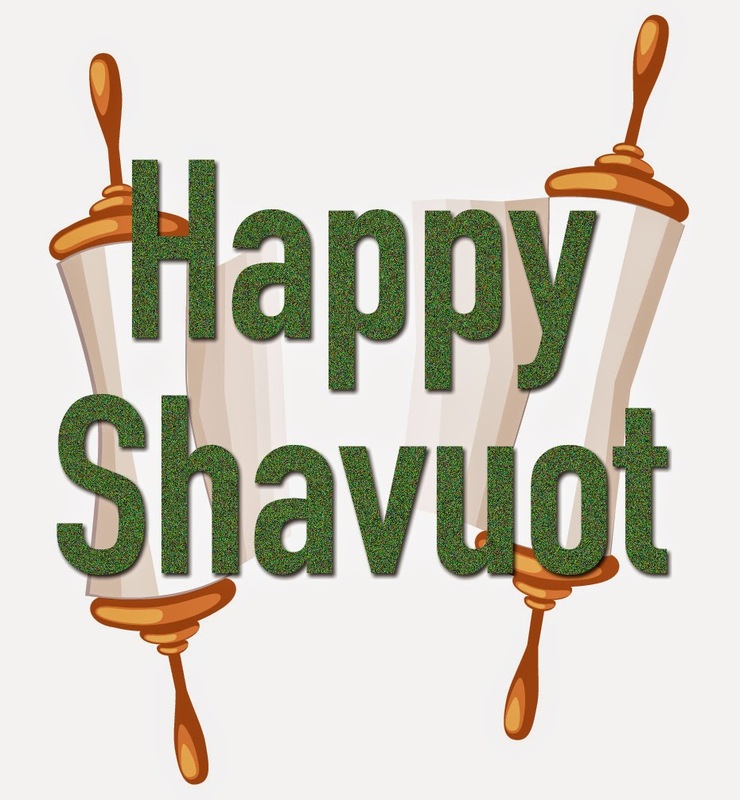 If you have not yet done so, make preparations for your celebration of Shavuot, which begins at sunset on Tuesday, May 30th, and ends after nightfall on Thursday, June 1st. In 1947, when the United Nations approved the plan to partition the British Mandate of Palestine (Israel) into a Jewish state and an Arab state, they determined that Jerusalem would be an "international city" for a period of ten years. The plan was approved by the Jews, and the day after it came into effect, the new state was attacked by the surrounding Arab states (as the Arabs had not accepted the Partition Plan). At the time of the cease-fire that ended the 1948 War for Independence, Jordan was in control of the Old City and eastern Jerusalem. Jews lost all access to the Western Wall, the only accessible point (at that time) to the holiest site of the Jewish faith as it is the last standing structure from the retaining wall that supported the Holy Temple, and nearly all of the Jewish Quarter of the Old City was destroyed. On June 5, 1967, the Middle East was once again at war. The war itself lasted six days, but on June 7, 1967 - 28 Iyar 5727 - Israeli paratroopers took the Old City and, for the first time in almost twenty years, Jewish prayers were recited at the Western Wall. This Treat was last posted on June 3, 2016. As it is customary for Jews to pray toward Jerusalem, discover which way Jerusalem lies from where you live. Speak respectfully about all parts of the Jewish community, even if you disagree with their perspective. If you enjoy studying philosophy, take the time to explore works by Jewish philosophers such as Rav Saadia Gaon and Rabbi Moses ben Maimon. Try to attend services to hear the Blessing of the Month. In honor of International Museum Day, Jewish Treats presents Beit Hatfutsot, The Museum of the Jewish People (often referred to as the Diaspora Museum). In 1959, at the World Jewish Congress in Stockholm, the organization’s president, Nahum Goldmann, suggested the creation of a museum in Israel that would explore the history and life of the Jewish diaspora. His vision came to fruition when Beit Hatfutsot opened its doors on May 15, 1978. 1) To present and display the unique and ongoing 4,000 year-old story of the Jewish people – past, present and future. 2) To nurture a sense of belonging among Jewish visitors and to strengthen Jewish identity. 3) To serve as the central address for Jewish discourse, engagement and learning for Jewish individuals, families, communities and organizations from Israel and around the world. This unique museum fulfills its mission with interactive displays and inclusive storytelling. In fact, it is notable that while the museum has many replicas, it has almost no actual original artifacts, highlighting the fact that it is not a museum of things, but rather it is the collective narrative of a people. Beit Hatfutsot was designed around six gates: 1) family, 2) community, 3) faith, 4) culture, 5) the Jewish people among the nations, and 6) the return to the land of Israel. Included among its most renowned exhibits, in the Gate of Faith, is a collection of 18 model synagogues, many of which are no longer standing. Another fascinating exhibit at the museum is the Feher Jewish Music Center, where visitors can explore the music of Jewish communities around the world. Additionally, before leaving Beit Hatfutsot and exiting onto the modern campus of Tel Aviv University, guests of the museum are offered the unique opportunity of accessing their own personal history at the Jewish Geneology Center. Take actions to preserve your family history for posterity. Teach the children in your life to always treat teachers with respect. Practically, there may be exceptions where bowing (other than full prostraton) is permissable. One might bow in front of a king or queen if that is the customary way of paying respect to royalty. If one were in Japan, one might bow when greeting others, as is the custom of the country. One might not, however, bow to any animal, in front of a statue or any other inanimate object. This Treat was last posted on October 15, 2012. Be aware that some items that appear as art are really considered statues in Jewish law. Don't hesitate to introduce two people you feel might be a good match. This Treat was last published on May 6, 2015. This Treat was last published on May 25, 2016. Plan something special for Sunday's Lag Ba'Omer celebration. It is often surprising to realize just how recent it was that the majority of the United States was wild, unsettled territory. Minnesota, which became the 32nd state on May 11, 1858, was a well-forested base for the fur trade. Thus the territory drew the attention of men such as Maurice Mordecai Samuel, a London born merchant who worked a peddler’s path in this sparsely populated area and watched as the territory transformed into a state. While the fur trade brought Samuel to the St. Croix Valley in Chippewa County, his name is recorded in history for his participation in the Civil War as part of the St. Croix Rifles. The Elfelt brothers, who arrived around 1850 and entered into mercantile ventures - one brother (Abram) organized the city’s Board of Trade, while another (Charles) helped establish the city’s first theater. Abram also helped found the city’s Bnai Brith Lodge. Jacob Jackson Noah, son of Mordecai Manuel Noah, was a lawyer who participated in the Constitutional Convention preparing Minnesota for statehood. Joseph Ullmann ran such a successful fur trade that he opened branches in Chicago, New York and Leipzig, Germany. The diary of his wife, Amelia, is an important document recording life for those settling the area. Mount Zion Congregation recently celebrated their 160th anniversary! A second congregation, Chevrah Bnai Yaakov, was founded in 1875. Over the course of history, it merged with several newer congregations and is now known as Beth Jacob Congregation. Become an active member of your local community. This afternoon, enjoy a piece of matzah in honor of Pesach Shaynee. “He [Rabbi Akiva] said:... The world is judged with goodness, and everything depends on the abundance of good deeds” (Pirkei Avot/Ethics of the Fathers 3:19). God judges the world with goodness by always looking for the positive, for reasons to sustain His creation. God wants people to emulate the Divine, to judge others favorably and to seek out ways of helping those in need. The more good deeds that people do, the easier it is for the world to be judged with goodness. This is important, since the Midrash, as explained by the great Medieval commentator Rashi, infers that the reason God destroyed the world in the days of Noah and the flood was because the people of that generation did not “do good” to each other. Rashi explains that the former [generation of Noah] were drowned, while the latter [generation of the Tower of Babel] did not perish from the world, because the Generation of the Flood were robbers and there was strife between them, and therefore they were destroyed. But these [the Tower of Babel generation] behaved with love and friendship among themselves.... Thus you learn that discord is hateful, and that peace is great (Rashi on Genesis 11:9). Sometimes people delude themselves into thinking that good deeds must be actions that make a noticeable impact. But, the fact is that there are constant opportunities for good deeds. Small actions, such as complimenting a stranger, can have a tremendous, and often unrevealed, impact on the other person, as can sending a meal to a friend during a hectic time, giving charity to the begger you pass every day, or visiting the sick. Find small ways of doing kind things for others. Once upon a time in American culture, defiant children who uttered certain improper words would have their mouths washed out with soap. Sadly, that time is no more, and profanities litter the world of common media. But just because society has allowed the vulgar to become the norm does not mean that this is the proper way for one to speak. Crass language, referred to in Jewish sources as nivul peh, is discussed in several places in the Talmud. For instance, “Rabbah ben Shila said in Rabbi Chisda’s name: He who puts his mouth to folly, Gehinnom [Hell] is made deep for him, as it is said (Proverbs 22:14), ‘A deep pit is for the mouth [that speaks] perversity.” (Talmud Shabbat 33a). It is the ability to speak that defines humanity from the rest of the “animal world,” and how one uses that gift often reflects how a person views him/herself and the world. Rabbi Joshua the son of Levi said “one should not utter a gross expression from one’s mouth” (Talmud Pesachim 3a) while the School of Rabbi Ishmael taught: one should always discourse in decent language... and it is said (Job 15:5), ‘and you shall choose the tongue of the subtle,’ and it is said (Job 33:3), ‘and that which my lips know they shall speak purely’” (Talmud Pesachim 3a). Maintaining a purity of speech is not limited to simply refraining from cursing, but should also include being conscious of all the words that one uses. It is interesting to note that most expletives in English are based on body functions, particularly “romantic” functions. Jewish texts, however, are filled with euphemisms. “Said Rabbi Chanon the son of Rab, ‘All know for what purpose a bride is brought into the bridal chamber, but whoever disgraces his mouth and utters a vulgarity, even if a [Divine] decree of 70 years of happiness were sealed for him, it is turned for him into evil” (Talmud Ketubot 8b). Think about your words before you say them. Infuse your Shabbat celebration with joy. Among the scholars quoted in Pirkei Avot/Ethics of the Fathers, are clusters of sages who are interconnected whether due to being from the same city, are part of the same generation or share the same teacher. Such was the case of Rabbis Eliezer ben Hyrkanos, Joshua ben Chanania, Jossie the Kohain, Simon ben Netanel and Elazar ben Arach, who were all students of Rabbi Yochanan ben Zakkai (Pirkei Avot 2:10). Discussions in the Talmud do not usually involve ranking the sages, but in each of Pirkei Avot’s discussions of these five scholars (and there are several), Rabbi Elazar is singled out for praise. 1) Rabbi Yochanan comments on each scholar: He compared Rabbi Eliezer to a cistern that never loses water. About Rabbi Joshua, he said “praiseworthy is the woman who bore him.” He called Rabbi Jossie scrupulously pious and noted that Rabbi Simon feared sin. Rabbi Elazar, however, was compared to a spring that flows stronger and stronger” (Pirkei Avot 2:11). 2) In the next Mishna, Rabbi Yochanan stated that if Rabbi Elazar were set on a scale opposite all the greatest sages of Israel, Rabbi Elazar would outweigh them all (2:12). 3) When Rabbi Yochanan asked his five students to discern the proper path in life, Rabbi Elazar said “A good heart.” Rabbi Yochanan prefered this answer because it encompassed all of the other answers: a good eye, a good friend, a good neighbor and “one who considers the outcome of a deed.” (The Mishna that follows is the opposite, explaining what is an evil path.) (Pirkei Avot 2:13-14). 4) This section of the Mishna concludes with five separate Mishnayot, one for each of Rabbi Yochanan’s disciples quoting three of their teachings: “Rabbi Elazar says: Be diligent in the study of Torah and know what to answer a heretic, know before Whom you toil and know that your Employer can be relied upon to pay you the wage of your labor” (2:19). As great as Elazar’s scholarship was, other inferences in the Talmud teach us that without his companions, Rabbi Elazar was unable to maintain his high level of scholarship. When the rest of the scholars moved to Yavne, he moved to Emmaus, and his learning declined (Ecclesiastes Rabbah 7:7). Become an active part of your community.